The IMDEA Materials Institute (Instituto Madrileño de Estudios Avanzados en Materiales) is an independent research institute promoted by the Community of Madrid to perform research in Materials Science and Engineering. IMDEA Materials belongs to the network of Madrid’s Institutes for Advanced Studies (IMDEA), a new institutional framework created to support social and economic growth in the region of Madrid through fostering excellent research and knowledge transfer to the industrial tissue in different strategic areas (water, food, energy, materials, nanoscience, networks and software). 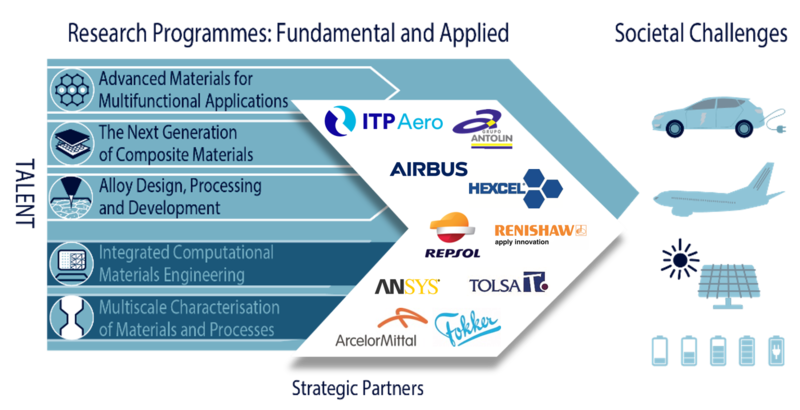 IMDEA Materials has earned international reputitation in areas such as processing, characterization and simulation of avanced materials for their application in transport, energy and smart manufacturing, and also in the exploration of emerging materials and processes towards a sustainable development.